﻿ Best Price on Hotel La Morada in Santo Domingo + Reviews! This hotel is located near Santo Domingo City Center and features a roof-top hot tub and free breakfast. Hotel La Morada is also only a 30-minute drive from Boca Chica Beach. 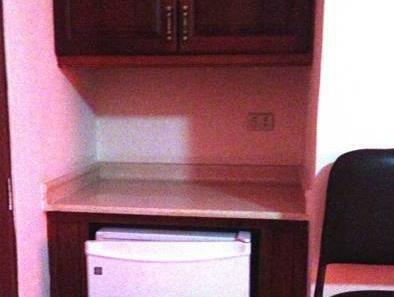 The air-conditioned rooms at this property come with a cable TV, wardrobe and mini-fridge. The bathrooms are private and include a shower and toilet. Guests enjoy local cuisine at the hotel’s on-site restaurant, and there are many other dining options within 1640 feet of the property, including a sushi restaurant located 656 feet away. Alcázar de Colón historical site is only a 10-minute drive from Hotel La Morada, and the hotel’s tour desk can help guest arrange outings and sightseeing. The popular Calle El Conde avenue, which offers restaurants and sightseeing, is only 0.6 mi away, while Las Americas International Airport can be reached within a 25-minute drive.